"Romeo, Romeo, where for art thou Romeo?" 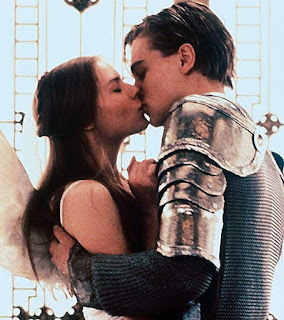 How many of us remember saying that line over and over again after reading "Romeo and Juliet" by Shakespeare? It is a classic and a lot of authors have tried to redo this play and have failed to stick to the original. 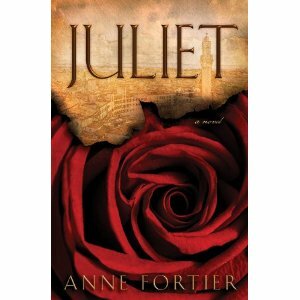 "Juliet" by Anne Fortier is not one of those. She writes a wonderful book where you are thrown to the past and the present. This book is a New York Times bestseller and after reading it you will know why. "When Julie Jacobs inherits a key to a safety-deposit box in Siena, Italy, she is told that it will lead her to an old family treasure. Soon she is launched on a winding and perilous journey into the history of her ancestor Giulietta, whose legendary love for a young man names Romeo rocked the foundations of medieval Siena. As Julie crosses paths with the descendants of the families immortalized in Shakespeare's unforgettable blood feud, she begins to realize that the notorious curse- "A plague on both of your houses! "- is still at work, and that she is the next target. It seems that the only one who can save Julie from her fate is Romeo- but where is he?" This book so perfectly bounces back between medieval Siena and present day Siena. All the discoveries that Julie make are so descriptive that you feel like you are right there with her. Anne did a wonderful job taking the original story and putting a very interesting twist to it. Of course there is, Alessandro, who is a stubborn male but he has his reasons, that you will find out when you read this book. I honestly can't describe anymore of this book for fear that I may give some important info away. Let's just say you think you have it figured out but you don't until Anne wants you to know what is going on. This is a wonderful ride and a great new look at the classic of " Romeo and Juliet". That will have you asking yourself in the middle of the book..."Can Julie manage to find her Romeo and break the curse or are these two lovers destined to have a tragic end?" After Reading: You may want to go back and read " Romeo and Juliet" just to see how similar these stories are. You might also want to visit the city of Siena in Italy because it sounds beautiful, I know I want too. You are gonna wanna read this book over and over again. You might wanna make a friend read it so you have someone to talk to about it, which I will make Alexis read it one day lol. "The China Garden" (Ashley's Review)"